Advanced Beginner 2 meets twice a week for 90 minutes each session. Gymnasts learn more difficult skills and start relating them to competitions. This class focuses on proper form of each skill. The gymnasts will learn their back hand spring, front hand spring and front walk over on the floor along with advanced dance requirements. 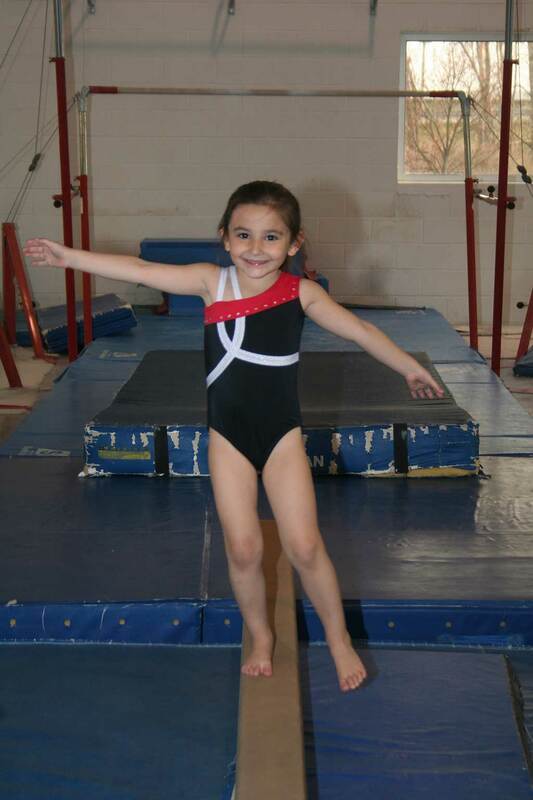 They will learn cartwheels and handstands on the beam. Students will do baby giants on the bars and learn how to do a two feet on. On the vault they will solidify their handstand and learn their front handspring. The conditioning in this class is slightly more intense than the beginner classes.